Geologist Employment Demand – Where to From Here? 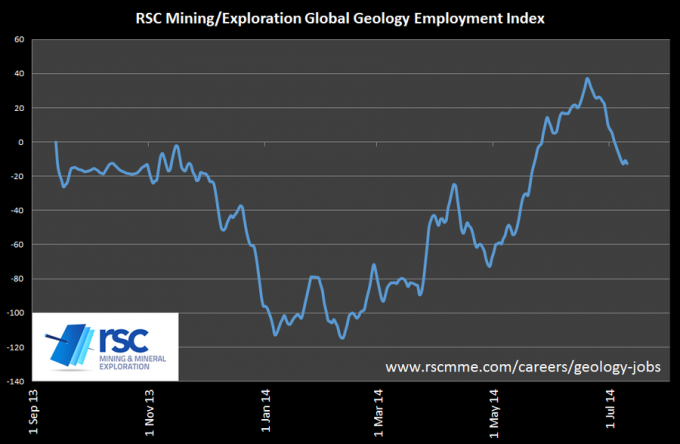 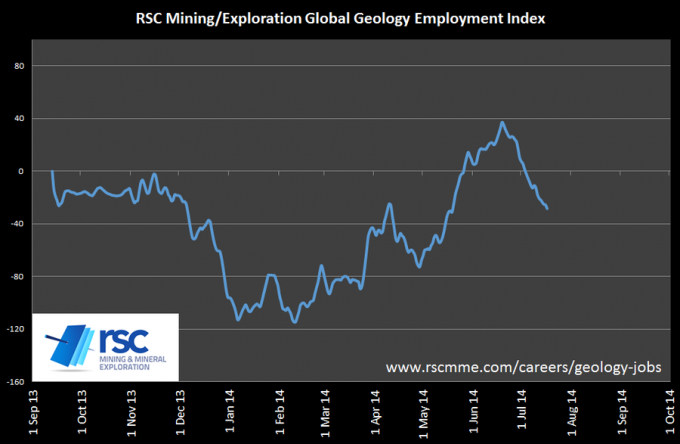 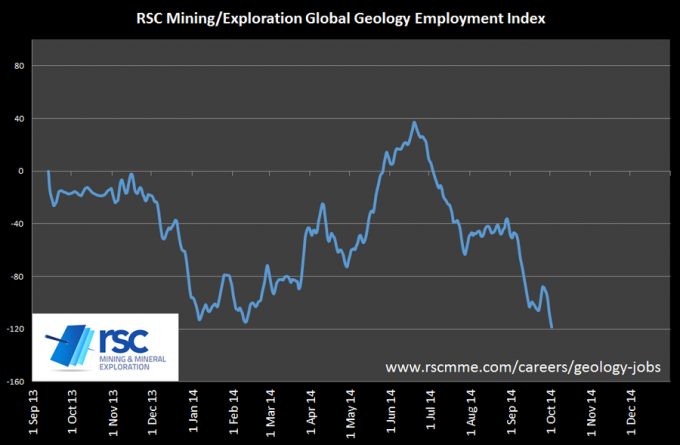 This week saw the RSC Global Mining & Employment Geology Employment Index continue to rise. Underlying advertising levels improved another 2%. Geology Jobs Index Update – Improved Conditions? The RSC geology employment index saw a small uptick this week with an increase of 6% in the underlying number of advertised jobs. RSC’s Geology Employment Index finished April at a bit of a low point. 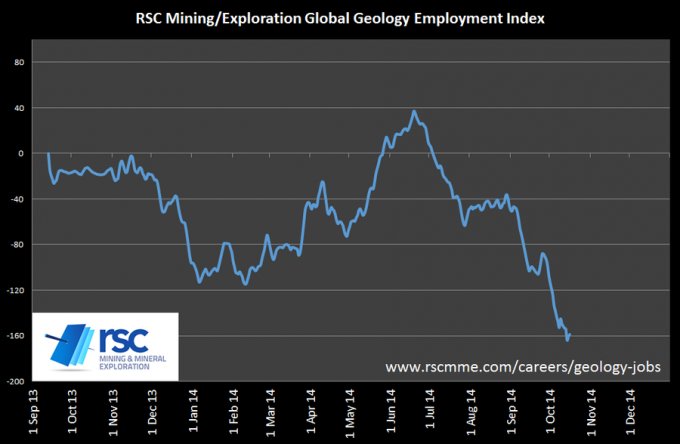 Comments anyone? This week the RSC Mining and Exploration Geology Employment Index increased 8%, returning to the levels seen in mid-December last year. Geology employment is FINALLY moving up after reaching its lowest point on 14th Feb since we started monitoring in September 2013.